Driving while under the influence is the culprit behind countless deaths each year in the United States. While drivers under the age of 21 only make up approximately 10 percent of licensed drivers, they are responsible for a disproportionate number of fatal alcohol-related crashes, as well as crashes caused by texting while driving. Much of this can be tied to teen-specific behaviors and a dangerous common belief that the horror stories they hear are other peoples' problems. Many teens develop an invincibility-complex that further perpetuates negative behaviors: they believe nothing bad can happen to them and they are not susceptible to the repercussions of risky behavior. Drunk driving statistics are readily available, and the media has reported extensively on them in recent years. Drivers under the age of 21 are responsible for approximately 17 percent of all fatal alcohol-related crashes in the United States. Although many laws in the United States have strict rules for intoxicated underage drivers, it does little to curb the growing problem. Most states rule a blood alcohol concentration (BAC) of .02 percent or higher as a DUI for those under 21 and some states, such as Arizona and North Carolina, have implemented a zero-tolerance policy in which any BAC above 0 percent is a DUI. Despite these measures, approximately 2,000 underage drinkers die every year while operating a vehicle, and alcohol is a factor in one-third of all teen auto accidents. Studies show that teens who start consuming alcohol at a young age are seven times more likely to be in an alcohol-related crash. Many underage drinkers involved in car accidents are at five times the legal BAC limit, and much of this can be attributed to the fact that teens are far more likely to engage in binge drinking. Studies show that one in six teenagers engage in binge drinking while only one out of 100 parents believes their child does. Alcohol consumption can impair judgement and put individuals in dangerous situations; they then may be more likely to take risks to avoid the consequences of their parents finding out about their behavior. All of these factors contribute to the alarming statistics surrounding teen alcohol-related crashes. Car crashes have been the leading cause of death for teenagers for a number of years, and about a quarter of these deaths involve an underage intoxicated driver. The growing number of car accidents related to distracted driving have raised concerns regarding cell phone usage behind the wheel. Recently, texting while driving has surpassed driving while under the influence as the number one cause of teenage deaths in the United States. Texting while driving is responsible for over 3,000 teenage deaths every year, compared to over 2,000 drink-driving deaths. Just as there are laws in place to deter drink driving, several laws have been instated to combat texting while driving but so far it has done little to reduce the problem. 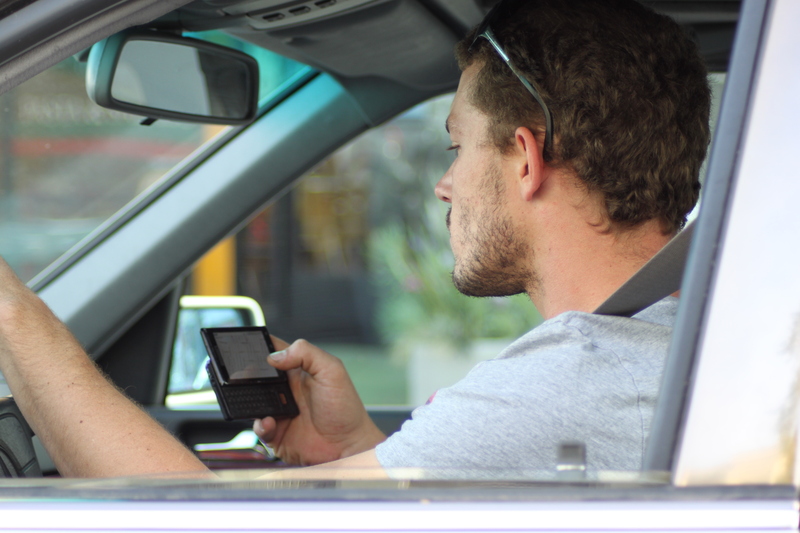 Some states have even banned the use of cell phones altogether while driving. Studies further show that when using a cell phone, an individual's eyes are off the road for a minimum of five seconds. If the individual is traveling at 55 miles per hour, they would drive the length of a football field without looking at the road. One in five 16 year old drivers will have an accident within their first year of driving. These numbers dramatically increase if the teen uses a cell phone while driving. So what can be done to tackle the issue? Educating teens about the dangers of distracted driving and drunk driving is one of the most effective methods of reducing teen fatalities. Regarding cell phone usage, it's important to emphasize the dangers of distracted driving and reinforce the notion that texting while driving is never acceptable. Unless it is an emergency situation, calls should be made from a parked position. It is just as important to teach teenagers never to get in a vehicle operated by someone who has been drinking and to reach out for help if they are under the influence and unable to transport themselves. Regardless of the situation, rules and expectations should be established in order to reduce the likelihood of a dangerous situation. In addition, it is important to outline clear consequences related to driving under the influence and distracted driving; discuss the facts, address the myths, and help provide methods of dealing with peer pressure. With an open relationship, it is easier to discuss difficult topics, help teens develop skills to stand up to peer pressure, build confidence in themselves and provide support.